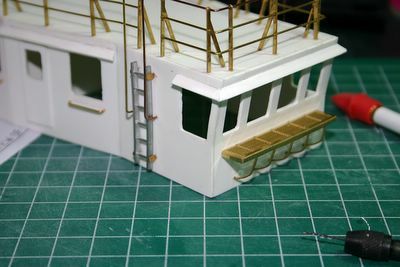 Here I have installed the ladders and the wheelhouse rear platform - I messed up the supports so they are rounded rather than straight. 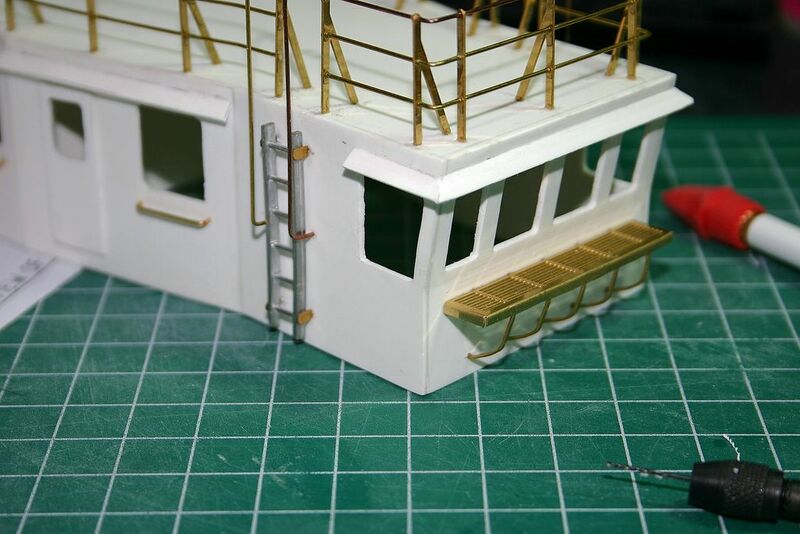 I have decided to put some of the fitings on before I paint the primer coat rather than after. We will see how it goes - I think I am pretty close to painting the primer.